Toddlerhood is an amazing time. We learn more as babies and toddlers than we do in the rest of our lives. It is therefore very important to introduce good habits to your child early on, ensuring they become lifelong habits. Hand washing Hand washing is one of the most important ways of controlling the spread of infection and illness. Teach toddlers to wash their hands after toileting, after touching pets and before eating, as well as at other points in the day. Use a liquid or foam soap and show them the correct technique to use. Tooth Brushing Encourage your toddler to brush her teeth twice each day. Have a funky toothbrush and a pleasant, age appropriate toothpaste to encourage her. Explain why it is important to keep her teeth clean, and make sure they have regular visits to a dentist who likes to work with children. 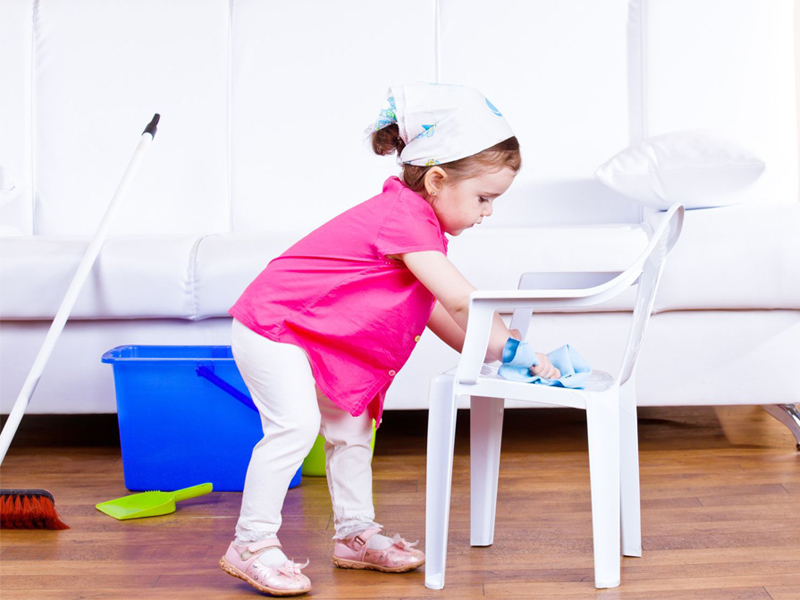 Toileting When the time is right, your toddler should take to potty training relatively easily. Encourage and reward dry spells, and stay relaxed and flexible about the success she has. Sometimes it is one step forward and then two steps backwards, but stay positive and don’t add pressure to the situation. Teach her how to clean herself properly after toileting. It is often necessary for you to double check, though. Personal Hygiene Bathing and hair washing are important, but can become a toddler’s worst nightmare. There will be countless times when she will do everything possible to avoid having a bath, especially if she suspects she needs to wash her hair. Make bath time as stress free as possible. Make it a calm play time, with music on in the background or singing together. Put interesting toys in the bath and change them often to keep it inviting. Some good ideas are cups, balls, plastic bottles, water crayons, and you can even color the water with a few drops of food coloring. A pair of goggles is a must to help with hair washing, and try to get your hands on specially designed jugs that keep the water off her face. Daily Exercise Encourage your child to be active. Ensure that she gets at least one hour of physical activity each day, preferably something outside and something fun. Bike riding, trampolining, playing with a ball, climbing and running – anything that gets her moving. Set a good example yourself by showing her how enjoyable being active can be. Explain why it is important to keep fit and be active. What is private? We all love to see little naked baby bums on the beach, but as your toddler gets older it is good to start to teach her what parts of her body are private. When you feel she is ready to learn and understand more about her body, tell her that her private parts are anything that his swimming costume covers. Explain that no one is allowed to touch her private parts. Answer any questions openly and honestly. Good Manners Teaching good manners to a toddler is easier than you think. Babies as young as six months can sign simple gestures like please and thank you if it is something you do with them regularly. Lead by example, as children learn best by being shown, and praise any good effort at using good manners. Teach them to greet people and to always say good bye. Teach them to call people by their names and to say please and thank you when appropriate. Turn taking and saying “sorry” are skills that take a little longer to learn, but be consistent and always explain the reasons why they have to say sorry or wait their turn. Good behavior We have all been out and about and witnessed a chaos-causing toddler in action. Temper tantrums and unwanted behavior tend to happen when we are out with our children because they become tired and overstimulated. Use gentle and flexible discipline at home and be consistent with it when you are out. If you sense a meltdown coming, remove her from the situation for a few minutes, distract her with something else to do or give her a few minutes of calm play away from everyone else. Never shout at or humiliate your child in public. Always show your child respect and she will respond in the same way. Cooking Cooking with your child is an activity loaded with educational opportunities, not to mention that it is an essential life skill. Cooking and baking require math, science, language and literacy skills and stimulate every sense. Get your children involved with cooking from an early age and don’t underestimate their ability to help out. Safety I am often asked by new moms what activities they should be enrolling their babies in. I always say that if you only do one activity, you should make it swimming lessons. This is a skill that could save her life one day. Other important safety skills are sun safety and car safety. You must insist on your children wearing sun screen and a sun hat. Their skin is so sensitive and can burn easily. In the car you must insist that they are always strapped in. Show your child that you have to wear your seatbelt too, and that you can’t drive until everyone is strapped in safely. Teaching toddlers good habits can be time consuming and frustrating, but be consistent and in the end it will pay off. A well-behaved, good mannered toddler can be a pleasure to be around and a fascinating companion.